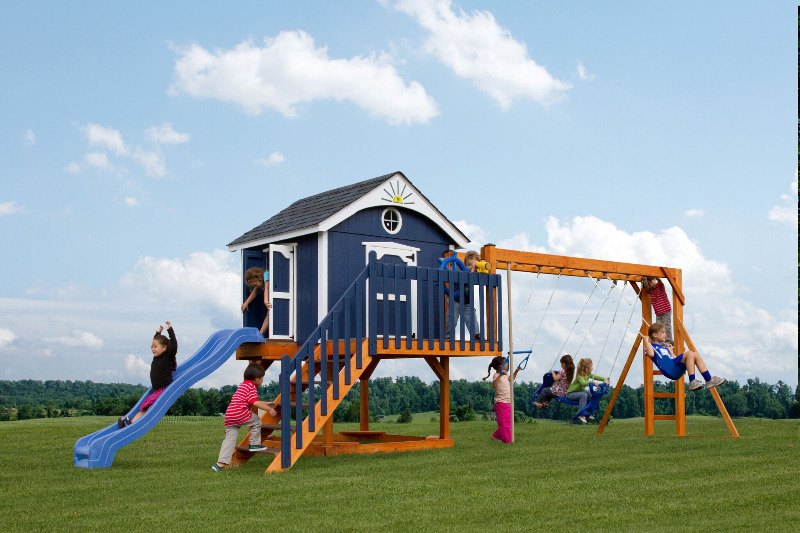 This Model Includes: Towers: 6' x 6' Playhouse with 2' Front Deck. Slides: 8' Wave Slide. Climbers: Staircase. Sandbox: 6' x 6' (27 Bags of Sand Needed). Roof Type: Asphalt. Swing Bar: 3 Position Monkey Bar. 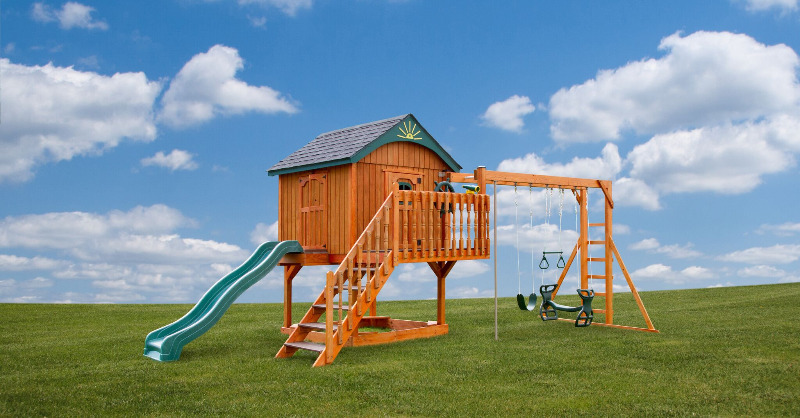 Rides: Trapeze, Belt Swing, Plastic Glider. Fun Add On's: 4' Picnic Table, Bubble Panel, Tic-Tac-Toe, Ship Wheel, Telescope, Fire Pole.